Two pioneering and prominent extreme harsh noise stalwarts, both of whom have been active since the early ’80s, come head-to-head in a much-anticipated collaboration where the mastery of both artists are skillfully woven into a chaotic symphony. 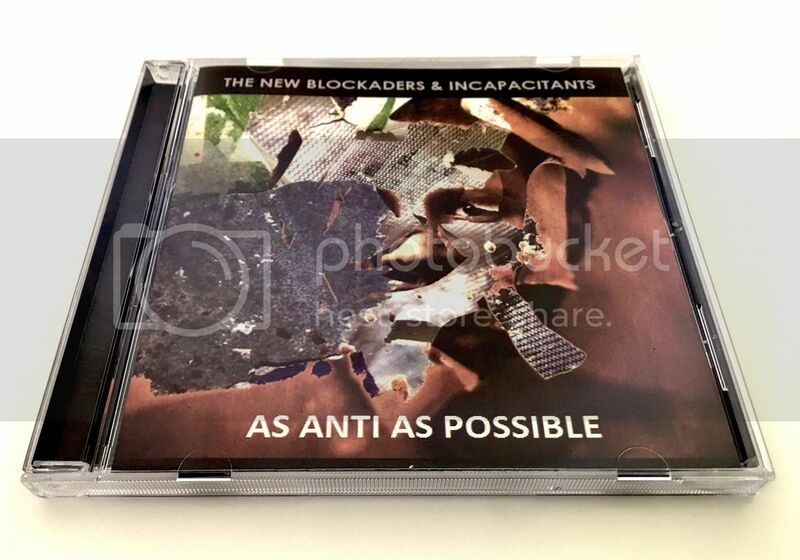 The pairs (Rupenus & Gillham and Mikawa & Kosakai) worked with each other’s material producing two collaborations (appropriately titled ‘Blockading Of Incapacitants’ / ‘Incapacitation Of TNB’) comprising relentless metal abuse, screaming feedback, gut-churning rumbles and deranged vocals. As the title suggests, ‘As Anti As Possible’ is certainly no easy listen and will be a challenge for all but the most die-hard of Noise fans. TNB and Incapacitants have been mutual admirers of each other’s work since the mid-‘80s and have since that time occasionally discussed the possibility of a collaboration. However, no such collaboration has occurred until now.